RacingJunk News > Racing > Drag Racing > Ready for NHRA Mountain Motor Pro Stock Cars? NHRA’s factory hot rod category in the professional Mello Yello Drag Racing Series, Pro Stock has issues. When the sanctioning body gave teams less than half a year to transition from carbureted to (modestly) fuel injected engines and to reshape front ends (among other edicts), there were howls. It was as if NHRA had taken a dumpster packed with dirt and pummeled the paddock with it. Most Pro Stock racers don’t consider drag racing their business. Some do, like KB Racing, operating under the Summit Racing Equipment banner. Elite Motorsports and Gray Motorsports have used their successes, as has KB, to entice others to run what they’re building at the class’ 24 races each season. But others go it alone, and those changes caused quite a few venerable combatants to leave the game once the EFI era came on a few years ago. At many events it’s been tough to get a 16-car field; at others, like this weekend’s 64th annual Chevrolet Performance U.S. Nationals, the class had 20 entries, meaning four racers weren’t able to face eliminations on Monday afternoon. That’s not really unusual, as this weekend’s contest was the Big Go, the largest USA drag race and easily the most prestigious. NHRA knows they need to do something to assist the class. They’re just not sure what they want to do. For that reason, the sanctioning body has invited prominent Mountain Motor Pro Stock cars to make “special appearances” at the the U.S. Nationals, performing four exhibition passes as the series gauges response. The 800+ cubic-inch engines will, NHRA believes, bring “a new level of entertainment to an already action-packed event.” With drivers like John Montecalvo, Trevor Eman, John Konigshofer, Brad Waddle, Dwayne Rice, John DeFlorian, Elijah Morton and Dillon Voss showcasing their machines with two runs each on Saturday and Sunday, September 1 and 2, NHRA will gauge the appeal of this class. 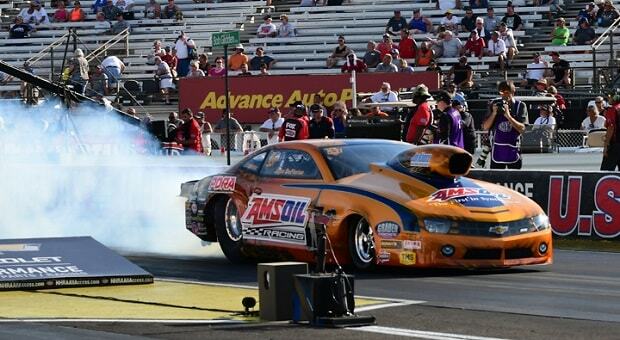 It was easy to see the Mountain Motor Pro Stock cars have a faster and quicker path down the quarter-mile. They were easily a couple of tenths quicker than the Mello Yello Pro Stock Camaros and Dodge Dart entries. Where the quickest Pro Stock entry, winner Tanner Gray in his Gray Motorsports Chevy Camaro, had a quick qualifying time of 6.603 seconds at 208.97 mph, the Mountain Motor cars, with their bulbous noses and big engines, were both quicker and faster. In his final pass down the quarter-mile, John DeFlorian Jr. posted 6.351 seconds, while Brad Waddle’s speed of 221.05 bested the other seven cars. 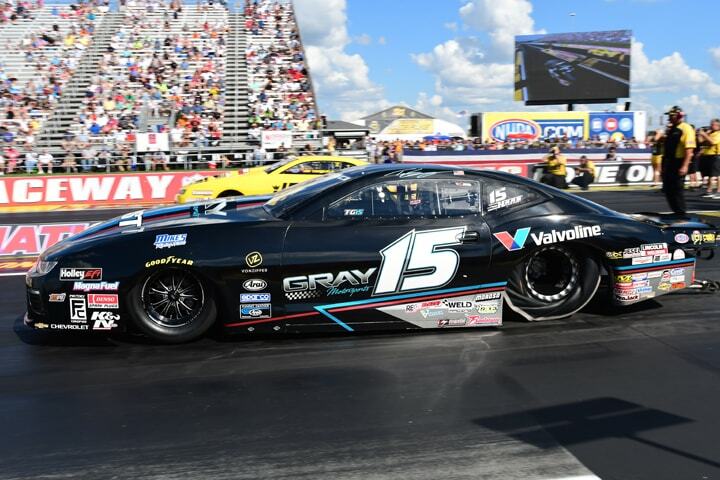 If NHRA sees benefits in how the Mountain Motor Pro Stock cars perform in relation to the Pro Stock cars, primarily Chevrolet Camaro competitors, they will likely find a way to incorporate the class. This writer hopes they involve current and prospective competitors in the discussion of rules. 1 Comment on Ready for NHRA Mountain Motor Pro Stock Cars?